Roger Stone, a Republican strategist and long-time confidant of President Trump, said his excitement over Wikileaks dirt on Hillary Clinton was nothing more than politics. Stone, in an interview with CNN on Saturday, distanced himself from connections he reportedly had to email leaks, saying he never colluded with Wikileaks founder Julian Assange. Stone said he had “no advance notice” of Wikileaks information and simply learned from the media that the hacked emails were going to be leaked. 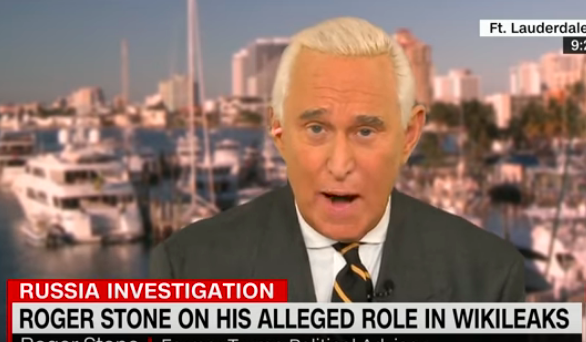 Special counsel Robert Mueller is investigating Stone’s role in the Trump campaign. 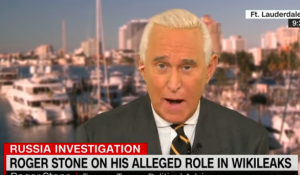 In the CNN interview, Stone said he “testified truthfully” to the House Intelligence Committee and “never had any direct contact” with Wikileaks or Assange. Posted: 11/5/18 at 9:53 AM under News Story.